On Demand Service from Hendrickson HVAC Services Inc.
Why is my house not staying at the temperature I request on my thermostat? A common cause for this is a tripped breaker, just flipping the breaker back on may solve the problem temporarily but why did the breaker trip in the first place? If you see that you have a tripped breaker it may be best to call for an experienced technician to come diagnosis the cause!! Unsuitable refrigerant levels or excessive temperatures in your system can cause safety switches to trip and turn your system off. The purpose of this switch is to prevent your equipment from destroying itself or your property. If there is power to your equipment and it is still not working, it’s time to call for an experienced technician to come diagnosis your system!! With our On Demand Service, we use flat rate pricing. Before any repair is performed a price is presented to you for your approval. If you decide not to have your system repaired your only cost will be $89 for our travel and diagnosis. No surprise cost or hourly billing that can drag on and on!! 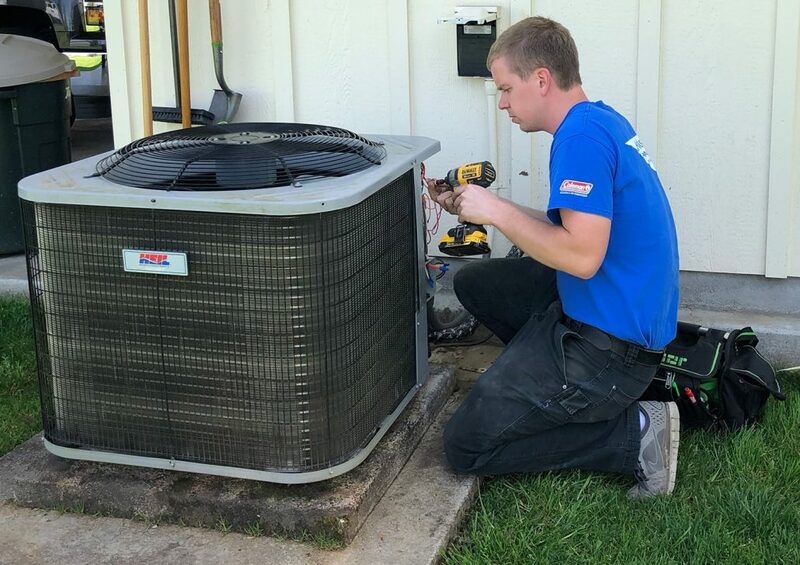 If your house is not staying at your desired temperature, please don’t hesitate to call us at 360.687.2034 and we will find the best solution available for you!!! Why is my fan blowing when my thermostat is not calling for heating/cooling? It’s very common for your fan to run an additional 30-90 second after it has achieved the requested temperature. The reason for this is to push all remaining air you have paid to condition out of the ductwork and into your home. This can be programed using your thermostat according to your preferences. If your home is equipped with a Whole House Ventilation System, this could be the reason. A 24-hour timer along with a motorized damper is wired into your furnace or air handler and controls your fan. The timer is the control center for the Whole House Ventilation System and is programed to meet code requirements. If your fan is blowing and you believe it shouldn’t be, please don’t hesitate to call us at 360.687.2034! !